As the unofficial kick-off to summer, Memorial Day weekend is an opportunity to begin the season with a bang. Make it special with a getaway to a top-drawer resort that the whole family can enjoy. Whether you want a low-key hang-by-the-pool vacation, a high-octane adventure or something in between, we've got you covered. Nestled on the shores of Lake Champlain in northwestern Vermont, the 165-acre Tyler Place Family Resort pioneered all-inclusive pricing during the Great Depression and has been helping families create awesome summer family vacation memories ever since. With nine age-staggered groups from babies through teens, the children's program is simply unbeatable. Other highlights include a spectacular lakeside setting, raft of adult-only activities and classes, delicious farm-to-table meals, and the perfect mix of family time, me time, and couples time. Pre-dinner cocktail hour? Champagne cruises? What's not to love? Memorial Day weekend is the kick-off of the summer season, with rates up to 40 percent lower than in the peak of summer. A gem on Lake Tahoe, the Resort at Squaw Creek delivers a lot of family fun, beginning with its four pools, 120-foot water slide, and three all-season whirlpools. Golf-loving families can play a quick and easy round on the front nine holes from family tees. Other activities include hiking, mountain biking, horseback riding, tennis, and fly fishing. Kids ages 4 to 12 can attend the Mountain Buddies program, which offers a variety of activities, including biking, hiking, tennis, swimming, arts and crafts, and games. Nothing says summer like a trip to the beach. A family favorite on Florida's gorgeous St. Pete Beach, TradeWinds Island Grand Beach Resort offers a Hello Summer! Memorial Day package. Two adults get a discounted three-night stay and two tickets to the resort's Sunday beach party with a cookout and fireworks display. There are also fun activities all weekend long: carnival games, music, bingo, inflatable games, and contests like the Hula Hoop challenge. Kick off summer in the Rocky Mountains at The Broadmoor, a historic and oh-so-grand property that really delivers for families. The Memorial Day weekend package includes a four-night stay, dining credit, and horseback riding or a Jeep tour, plus access to the resort's movie theater, bike, and paddleboat rentals. The grand Skytop Lodge in Pennsylvania's Pocono Mountains has been welcoming families since 1928. The resort offers a huge choice of activities like zip-lining, kayaking, archery, tennis, boating, biking, rock climbing, and hiking. There’s also an excellent supervised children’s program, and golfers get a bonus that’s virtually unheard of: unlimited greens fees. ​Memorial Day weekend festivities include special events and a picnic barbecue. An iconic summer resort since 1887, Grand Hotel boasts the longest front porch in the world. Set on storybook Mackinac Island—where motorized vehicles are prohibited and folks get around on bikes and horse-drawn carriages—the hotel is a step back in time and offers myriad ways for families to enjoy the resort and island together, like biking, horseback riding, and swimming in the 220-foot pool. The Memorial Day weekend package includes a two-night stay, daily breakfast and dinner, weekend evening receptions, nightly music and free golf. Children 9 and under stay and eat for free at ​the Grand Hotel. They also can participate in complimentary children’s programs Memorial Day through Labor Day. 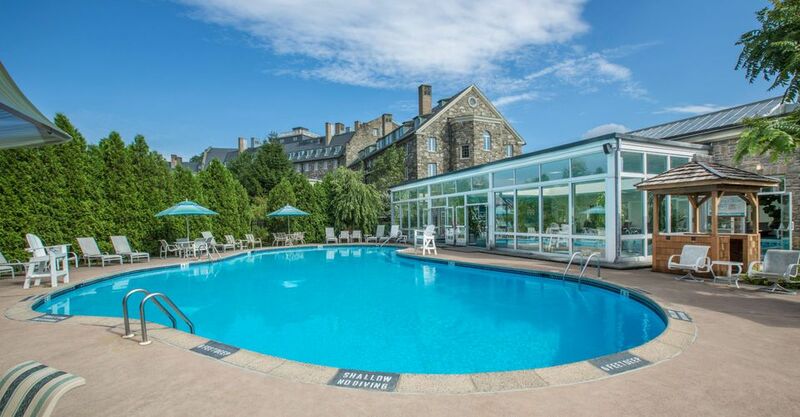 High in the Blue Ridge Mountains, the family-friendly Wintergreen Resort ushers in summer with a fun-filled Memorial Day weekend in the mountains that features daily brunch, a micro-brew festival, blues music, an arts-and-crafts fair, and mountain bike races. For the kids, there are outdoor movies, a treehouse program, and tons of kids' activities at a block party. In addition, the resort offers myriad outdoor recreational opportunities that include biking, zip lining summer tubing, golf, and kayaking. Festivities include a slew of family activities. There is no shortage of things to do for families on Captiva and Sanibel Islands. Kids love searching for angulate wentletraps, calico scallops, scotch bonnets, lettered olives, rose petal tellings, and alphabet cone shells, which dot the sand in plain view. The resort offers free bike rentals, should you want to explore the island. Also, you can take a kayak onto the water, which is complimentary for guests. Ann Morrow Lindbergh, who spent a lot of time in the area, famously said, "Life rushes back into the void, richer, more vivid, fuller than before." Don't miss The Village Shops, Gene's Books, The Bubble Room and nightly sunsets—all easily accessible from the resort. Read more about the best things to do on Sanibel Island for kids. Specials include a five-night discounted stay in pool-side accommodations and if you book direct, you'll receive the best rate plus a coupon book full of discounts. Parking is free and there are no resort fees with this package. Get your red, white and blue on in the Revolutionary City with a Memorial Day program. Stay at the Williamsburg Lodge, which is invitingly decked out in colonial Virginia-style fabrics and furnishings and conveniently located in the heart of Colonial Williamsburg. Elvis fans will want to put Tupelo, Mississippi on their must-visit list—you can visit Presley's childhood home here. Take a walk through downtown and try to find all 25 of the Elvis-themed guitars on the Elvis Guitar Trail. See the Elvis Presley Homecoming Statue. Pop into the Tupelo Hardware store where Elvis' mother, Gladys, bought him his first guitar. Other family-friendly attractions include: Healthworks! Kids Museum, Oren Dunn City Museum, Tupelo Automobile Museum, and Tupelo Buffalo Park and Zoo. The Hilton Garden Inn in Tupelo is not only affordable and accessible for families, but also it has a ton of amenities: swimming pool, gym facilities, outdoor patio, convenience store and meal options. Dining packages and discounts for multiple booked nights offer families a real deal. On one of Georgia's prettiest barrier islands, the Jekyll Island Club is a former members-only club for 1920s millionaires that was transformed into a fabulously family-friendly grand hotel. Over Memorial Day weekend, check out the island's 20 miles of bike paths, four golf courses, swimming pools, restaurants, and nature hikes in a relaxed setting. Jekyll Island Club Hotel offers a variety of special packages on Memorial Day weekend. Denver is one of the most family-friendly cities in America. It's super easy to get around and the museums are top-notch—it's a perfect Memorial Day Weekend destination. You'll want to take the kids to: Denver Botanic Gardens, Union Station and the LoDo neighborhood for shopping (Rockmount Ranch Wear is where many famous musicians buy their threads), Denver Art Museum, History Colorado Center, Hammond's Candy Factory (take the 30-minute tour), Children's Museum, Denver Museum of Nature and Science, and the Downtown Denver Aquarium. In nearby Golden, visit Colorado Railway Museum and Mountaineering Museum. The Brown Palace Hotel and Spa, built in 1892, has one of the most stunning interiors in Denver. With six restaurants and bars, a boutique spa and salon, a fitness center, live entertainment, and complimentary car service for attractions and restaurants within five miles. Packages include the Stay and Park Package and the Bed and Breakfast On The Go.